Humans have known and used vegetable oils, such as linseed, olive and sesame oil, as food product for millennia. The use of oils became more popular in the 20th century thanks to the process of refinement. Oil is a food product with a high calorific value (3,700 kJ / 900 kcal) and is lighter than water (0.92 kg per litre). Edible vegetable oil is mainly used for human food preparation. 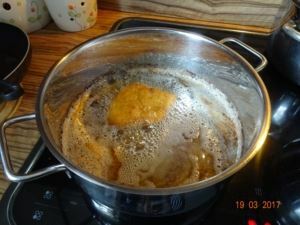 Some oil is consumed, the rest (especially after frying) becomes waste edible oil, a highly organically burdened type of waste, requiring proper disposal. Waste edible oil is kitchen waste, classified under No. 20 01 25 among separately collected waste fractions. It is forbidden to mix it with other types of waste or to dispose of it in sewerage systems or septic tanks. The environmental burden of edible oil is 2,301,627 mg per litre (in terms of the chemical oxygen demand) while waste water is burdened with edible oil 3,800 times more than regular waste water. 1 litre of edible oil disposed of in the sewerage system equals the disposal burden of 19 persons. According to our estimates, every person in Slovenia produces about 2 litres of waste edible oil in their household, which amounts to approx. 4,000 m3 of waste edible oil per year. The sad reality is that we want to get rid of our waste as soon as possible and with minimum costs. Most of our randomly interviewed colleagues, relatives and acquaintances said that they pour (usually hot) waste edible oil into their toilets, and those living in the country pour it on the compost or use it in animal-feed. Some store it in bottles, which they dispose of as mixed waste, and only a very small group collect it over longer periods and then deliver it to a household waste recycling centre as required by law (Decree on the management of waste edible oils and fats, Official Gazette of the Republic of Slovenia, No. 70/08). To our inquiry on the quantity of the collected waste edible oil, our public utility companies answered that the quantities are hardly worth mentioning, which in a way confirms the fact that waste edible oil is usually disposed of somewhere in the environment, with a potential for pollution. This is still happening despite the fact that oil is such food product, which, if disposed of in the environment (soil or water), presents a very level of organic pollution. It takes several years for the micro-organisms in the natural environment to decompose it to a degree at which it is no longer harmful for the nature. We can get a pretty clear picture about where used edible oil ends in cities by looking at the photographs of sewerage systems and pumping stations. There, we can clearly see how waste oil is slowly deposited on the inner side of the pipes, thus forming a real underground oil world with cave formations that slowly block other waste, which then becomes an excellent food source for rodents, and also a source of foul smell. Public utility companies must resort to the mechanical cleansing of pipes, which can result in pipe damage and shortens their life-span. 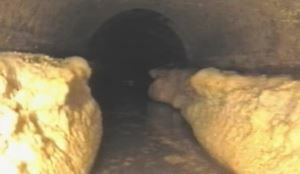 The cleaning is by no means simple, since the sewerage pipes are buried deepest – up to a few metres below surface. If waste edible oil ends up in a septic tank or in a small treatment plant, it rises to the surface and prevents the air from entering the sewerage, thus causing poor functioning or even putting them out of operation. Pouring waste edible oil on compost or grass presents a high environmental burden by completely preventing natural decomposition and life of micro-organisms. In time, it is washed from the surface to groundwater, which is the main source of drinking water in Slovenia. Once the groundwater is polluted, it takes hundreds of years before its quality is restored or ameliorated. It is a well-known fact that 1 litre of used oil pollutes a million litres of drinking water! But waste edible oil is not just waste, it can also be an excellent raw material. The proof is a relatively high price market, which can be €300, or even more than €400, per tonne of waste edible oil. From 1 litre of waste oil 0.9 l of biodiesel fuel or up to 1,000 l of biogas can be produced, which means that waste edible oil is a useful raw material and it makes no sense that it should end up as waste in our environment. Some of the Slovene public utility companies have already realized the value of this type of waste and have decided to popularize the collection of waste edible oil. Some have delivered containers for waste edible oil collection to households; others have prepared leaflets informing the population about the importance and methods of waste edible oil collection. In 2016, the Ljubljana Snaga Company managed to collect 14,960 kg of waste oil, i.e. 0.04 l per capita. According to their estimates, the quantity collected is far too small, and so in 2017 they plan special activities to introduce wider-purpose collection points, where used edible oil will be collected, too. Similar is the situation in other public utility companies with very little or no waste edible oil collected from households. 4,000 m3 (3,680 tonnes) of waste edible oil collected yearly from households would reach the market price of minimum €1,104,000 per year. 3,600 m3 of biodiesel fuel could be produced from this quantity. With the market price of €1.2 for 1 l biodiesel fuel, the potential would be €4,320,000, which certainly indicates successful management. 4,000,000 m3 of biogas or 8,000,000 kWh of electrical power worth €520,000 could also be produced. Waste edible oils with high levels of impurities and water are used in the production of biogas since the processing for the production of biodiesel fuel would not be economically justifiable. 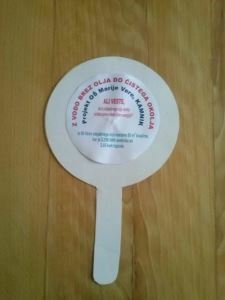 How to promote the collection of waste edible oil in Slovenia? The first step should be informing all users, not just households individually, that edible oil should not be disposed of in the environment. Following the example of the above mentioned public utility companies, containers for the collection of waste edible oil could be distributed to households. One of the collection methods could be door-to-door, together with a financial reward for the oil collectors. This action could be undertaken by local public utility companies or even municipalities with involving (mostly unemployed) locals, who could earn some money by collecting waste oil. Containers with the following notice might be placed in prominent positions: WASTE EDIBLE OIL FOR A CLEANER ENVIRONMENT. Eco-schools, for instance, have already received rewards for the promotion of waste edible oil collection. The Marija Vera Primary school from Kamnik won the first prize at the BMW Eco Regatta with their project Water with no oil for a clean environment. After the collection drive, the school children delivered the waste oil to a treatment plant for processing, and then informed their families and neighbours about the meaning of proper disposal of waste oil by using a paper pan. Larger catering premises, fast-food restaurants or large shopping centres with their restaurants burden the environment heavily with waste edible oil and are required to collect and deliver it to authorised collection services. The collection of kitchen oils and fats is cost-free in most cases, but it can also be awarded with over €100 per tonne of waste. All commercial kitchens must also be equipped with grease traps in their kitchen drainage systems. The grease traps must be regularly cleaned and maintained. If this is not the case, it often happens that waste oil and fat end up in the sewerage system, causing difficulties in pumping stations, or are separated at grease traps in larger treatment plants. In treatment plants not equipped with anaerobic processing systems, the separated fat presents waste which needs to be transported to another plant and processed there at a cost of €65/m3. At an 80,000 PE-sized central treatment plant the yearly quantity of this type of waste can amount up to 400 m3. The processing costs are covered by users (households) and are included in the price of community waste water treatment.